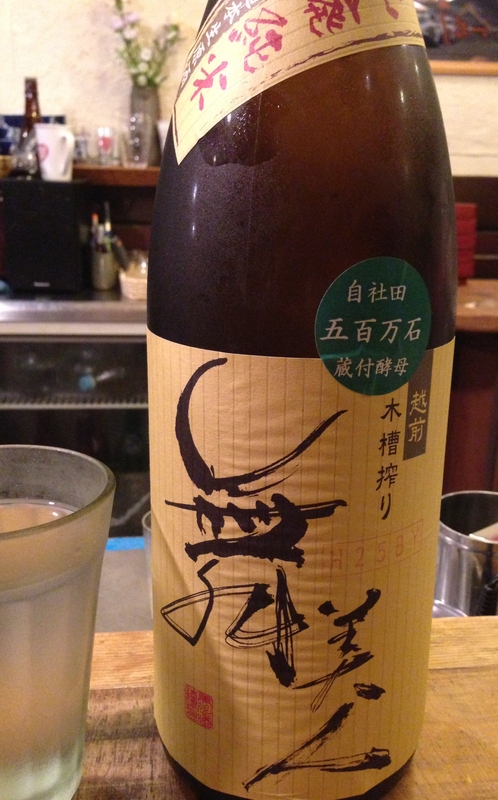 Posted on August 30, 2014, in Uncategorized and tagged honjozo, junmai, kimoto, Maibijin, natural yeast, sokujo, yamahai. Bookmark the permalink. 3 Comments. Very well written and informative article. I had no idea about the possibility of lactic acid additions. All good food for thought about the ‘pure’ tag so often attached to Junmaishu and, lactic acid to an aside, there’s also the question of chemical input used in the rice production (insecticides, pesticides, fungicides, herbicides, non-organic fertilisers etc). It would be interesting to have final bottled products randomly analysed for traces of any chemical nasties. And let’s not forget that alcohol, regardless of how ‘pure’ or ‘natural’ it might be marketed as, is a poison/toxin that can result in death (and all sorts of other problems!) and, in the wrong hands, highly addictive. As the lable sometimes says, ‘enjoy in moderation’. Great article and nice sake tip. In Australia, the dirty secret of junmai superiority was the classification by customs. Aru-ten attracted a hefty levy and junmai didn’t. It’s going to change soon, anyway, so the rein of junmai might come to an end. Absolutely. In Australia in particular the tax issue was always an aspect of the junmai vs. honjozo discussion that was conveniently left out. Something I was never entirely comfortable with.